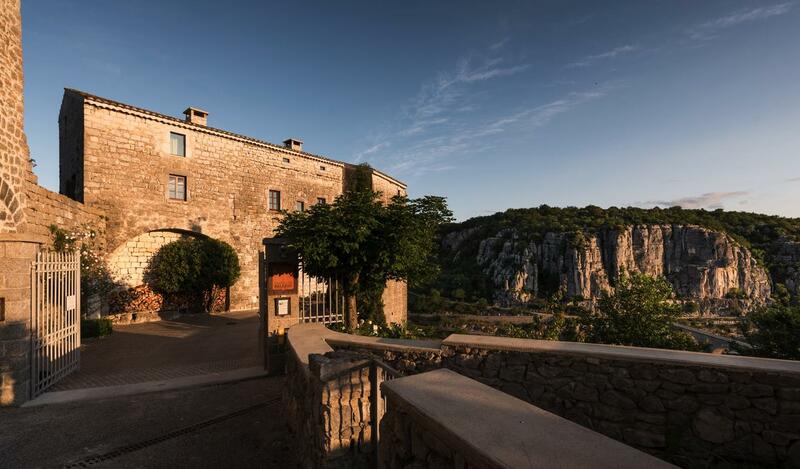 Chateau medieval, listed village, on a rocky pinnacle directly overlooking the Ardeche River below. overlooking the majestic Ardeche River flowing down below. Listed with the Historical Monuments of France since 1927. - A state-of-the-art, semi-professional kitchen, entirely equipped. beautifully appointed with high-quality fittings. ?fenêtres à meneaux' with steel frames. dining terraces leading off the Grand Salon. high stone walls of the château donjon.